It's time to bring YOUR KITTEN HOME! It's here! The day has finally arrived to bring your new family member home! Now that the day is here, you probably have some questions that you hadn't thought to ask when it all seemed so far away. On this page, we will try to answer all of those questions and give you some good pointers about what to have ready for your kitten and what we will provide with your kitten to bring home with him. "Why don't you let your kittens leave the cattery until they are 12 weeks old?" 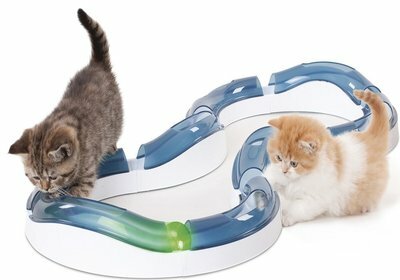 ​Delayed weaning prevents many behavioural problems and ensures the kitten will more easily adjust to its new home with you. Click on the picture to read the evidence. Another reason we keep the kittens until 12 weeks is because we have each of our kittens spayed or neutered prior to leaving our cattery and the earliest that we are able to do that is at about 12 weeks of age. We keep them a few days following the surgery to ensure proper healing prior to letting them leave. When the day comes to pick up your kitten from us, you'll probably be so excited you won't really hear anything we say to you. It's ok! We completely understand!! For this reason, we have outlined everything you will need to know right here, on our website. 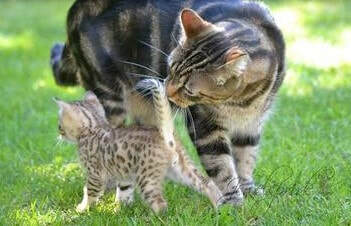 Have a look at all of the information linked to our page: "Bengal Care -Everything You Need to Know". It has some important and helpful information that we suggest reading thoroughly before your new baby arrives home. You'll find you may need to refer back to it again as your new family member settles in. I will also supply some freshly made raw food for you to take home for the transition period, along with my recipe, should you choose to continue feeding raw. 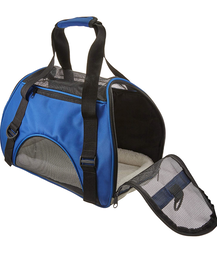 For the convenience of our kitten clients, we are now including a complimentary kitten carrier with each kitten. One less thing to remember to bring on pick up day! ​Cat Post. 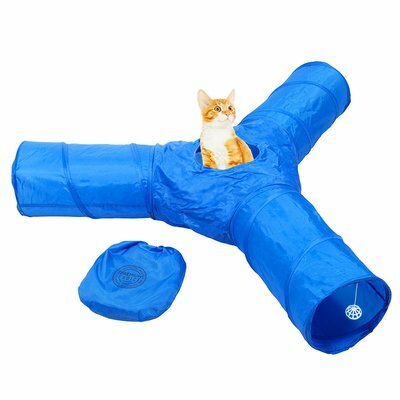 If you don't already have one for an existing cat, you should purchase a cat post with lots of room for climbing and exploring - bengals love to be up high and love to have sisal wrapped posts to scratch at and climb up. A post can be as simple as the one pictured here, or more extravagant with built in houses, and towers reaching right up to the ceiling. Nothing is too high for a bengal (although at first you will want to avoid letting them go too high, in case of an accidental fall). 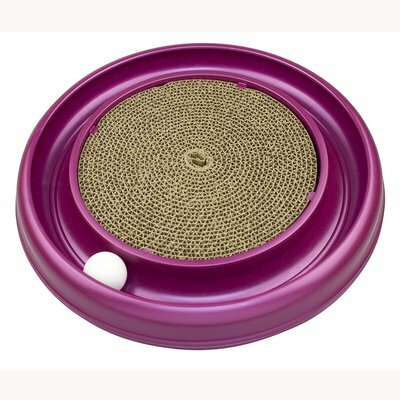 We will send home a 24" scratching post with each kitten that leaves our cattery to get you started - it is the same shape and size as the ones your kitten has been using at our house so he will be familiar with it and use it right from the start. Extra Litter Boxes. We send each kitten home with one litter box - the same type they have been used to using here in our cattery - however, you will want to have at least one more litter box for them. Many bengals like to pee in one box and poop in another, as you will find out, so a minimum of two boxes is needed. We use the simple open boxes, like the one we will send home with you, but you may also want to try an enclosed box or one with high sides - it all depends on your preference and what the kitten seems most comfortable with. ​ Have a thorough read of our article "Bengal Kitten Litter Training" before your kitten arrives. It has some very important information that you will need to understand before you come to pick up your baby! "My bengals make SUCH a mess digging and playing in their litter boxes - what can I do?" Bengals can make any thing and any place into a "fun zone" and the litter box is no exception! ​Litter box TIP - we use these 38L/10 gallon Roughneck Rubbermaid containers as litter boxes for those of our bengals who make an "exceptional" mess pawing and digging in our standard sized litter boxes. Not only do they save ANY litter mess from spreading around the box and poorly-aimed pee from going over the sides, but the standard litter boxes also fit neatly INSIDE the bin so that the bin can act as a guard and not have to be cleaned daily like the regular box! We've used big bins in the past, but they were never quite the right height or size (too narrow for a litter box inside, too big and bulky to wash, or so tall the cats were tipping them over). These ones are PERFECT and they are about $7 at Wal-Mart (click on the picture for the link). ​Toys, Toys, and MORE toys. 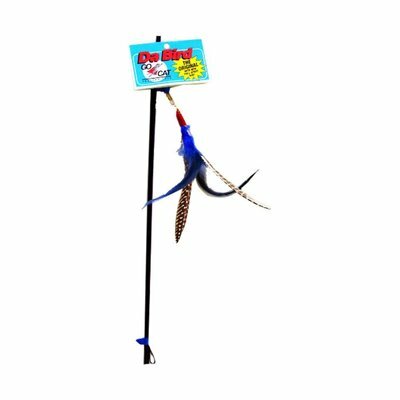 We will send your kitten home with lots of his smaller favourite toys, however, you will want to have some of the more exciting toys (and possibly a cat wheel, if it's in the budget!) on hand for sure to provide lots of fun and distraction for him upon his arrival. 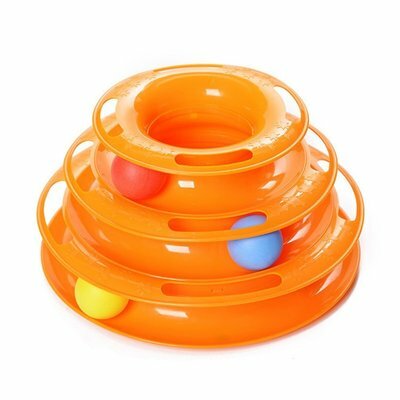 Bengals LOVE to play and they never grow out of their playfulness, so an investment in toys is never wasted. What types of toys? This is a question we are asked often! Let me show you some of our kittens' favourites (click on each picture for a link to where you can purchase the item online)! When your kitten arrives home with you, he will be scared and not familiar at all with his new surroundings. If you add the excitement and stress of introductions with too many new people and pets all at once, you can imagine how stressful this will be for him. Also, take note of our health guarantee - if other pets are introduced during the required quarantine period, the health warranty is voided. For all of these reasons, please adhere to our recommendation to provide a "safe room" for your kitten to settle in and acclimate in for his first while when he arrives. This is a critical component to a successful transition from our home to yours and can set the stage for all future interactions between your kitten and other members of the household - both human and pets. Please take some time to review our detailed plan for quarantine and proper introduction of your kitten. ​Wondering What to Feed Your New Family Member? What you feed your bengal is entirely up to you once he leaves our home, but while he has been with us, he has been fed the highest quality, species appropriate raw diet. Don't be afraid! Raw is easier than you think and there are many "convenient" and "user friendly" options available to you to help you make ultimate nutrition for your kitten a snap. There are many brands of raw available at most pet food stores - you just need to be careful to choose one with the least amount of vegetables or fruit as possible - dead weight and wasted cost for you - as cats are obligate carnivores. Kerri at Wild At Heart Pet Foods has an excellent variety of raw meals at excellent prices AND SHE DELIVERS. We also prepare our own raw and sell frozen (to kitten clients only) in 1kg containers ($10/ea) and 250g containers ($2.50/ea). 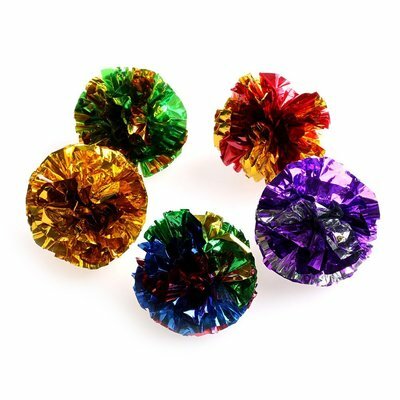 There are many convenient options these days which allow you to feed your kitten what he was meant to eat, without it causing you any more trouble than you would have opening a can or bag of convenience food. Regardless of whether you make your own raw food like we do (we're here to help!) or buy it from a pet store or other source, take a few minutes to educate yourself about what is best for a cat's health - we have put together some useful information HERE for you to read prior to bringing your kitten home. NOTE: we promise not to judge - if you choose to feed your kitten a high quality canned food (grain free, rendered product free, etc) that is also an excellent choice and we completely respect your decision! We are convinced, however, that raw is the very best for the health and longevity of your cat so we would be remiss to not at least point you in the right direction. We truly believe that once you see how convenient and cost/waste effective a raw diet is, you will want to continue with it.